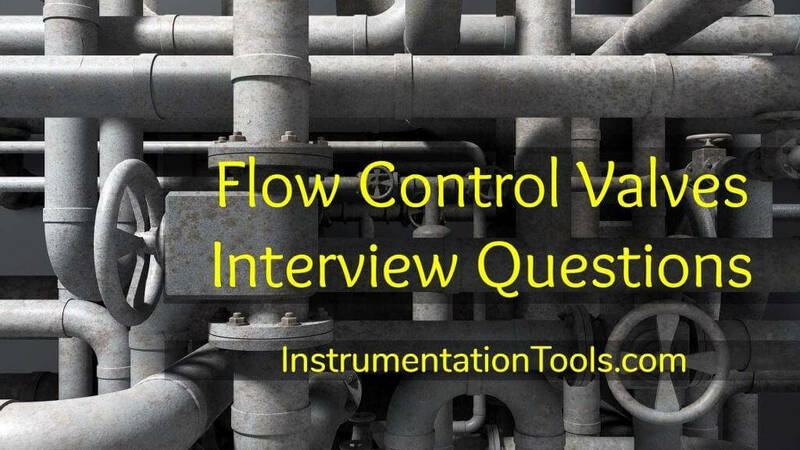 Read the Flow Control Valves Interview Questions and answers which are prepared for your preparation. Flow control valves are used to regulate the speed of hydraulic cylinders and motors by controlling the flow rate to these actuators. Meter in, meter out and bleed off are ways of applying flow control valves. A pressure compensated flow control valve is one which provides the desired flow rate regardless of changes in system pressure. In meter out circuit flow control is placed in in return line. This is used in machine tools like drilling in which tools is dragged suddenly at the end of drilling. Heat generated due to throttling is fed to the actuator. Not efficient with variable displacement pump. Modular valve is a stack of control valve one on the other to perform a complete valve pack. This arrangement forms a compact system, thereby reducing assembly cost and eliminates much of the complex interconnection of pipe work. Modular valve saves space and easy to troubleshoot. A hydraulic fuse prevents hydraulic pressure from exceeding an allowable valve in order to protect circuit components from damage. It is analogous to an electric fuse. What is the need for temperature compensation in flow control valve? As the viscosity of oil varies with temperature, the oil becomes less viscous when temperature increases. As the less viscous fluid flow more rapidly through an orifice, the increase in temperature causes increase in flow for a valve setting, so temperature compensation is needed to offset the effect of such temperature variations. 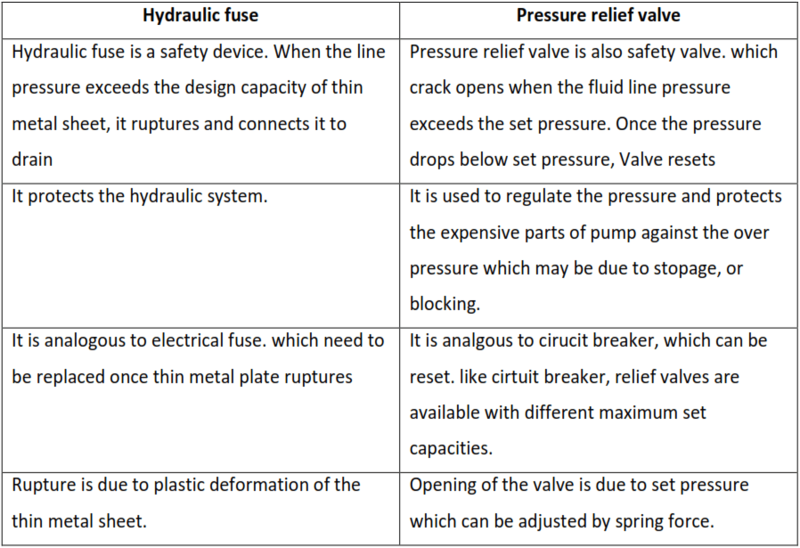 What is the difference between hydraulic fuse and Pressure relief valve? What is the function of a pneumatic valve? Function of pneumatic valve is to control the pressure, flow rate and direction of air flow in pneumatic circuits. 2. How do you classify pneumatic valves? 3. What is the function of a Direction control valve? Directional control valves start, stop or change the direction of flow in compressed air applications. 2 way valves are used for ON-OFF conditions. Three way DCV are used to control single acting cylinders. The check valves are used to allow free flow of compressed air in only one direction and it prevents the flow of compressed air in the opposite direction. 6. How do you classify the DCV based on construction? Shuttle valves, also known as double check valves, are used when control is required from more than one power source. It can be used as OR gate fluid logic control valve. A quick exhaust valve is a typical shuttle valve. The function of quick exhaust valve is to exhaust the cylinder air to atmosphere quickly. It is used with spring return single acting cylinder to increase the piston speed of the cylinders. Five control elements used in valves are Poppet (ball or disc), Spool, Piston, Diaphragm and sliding plates. Really its very good for reading the interview Questions & Answers.